RG-6 Quad Shield 18 gauge copper clad conductors. Aluminum foil/34 Gauge, Aluminum braid shield. For use in Home Network systems and satellite and video distribution. 100% double foil shield. Quad shield minimizes both air interference and low level AC. Designed for high quality transmission with minimal interference. 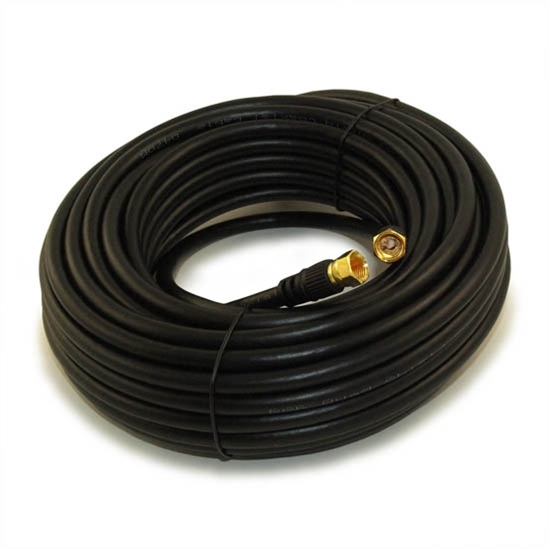 This is a 50' bulk length of cable.